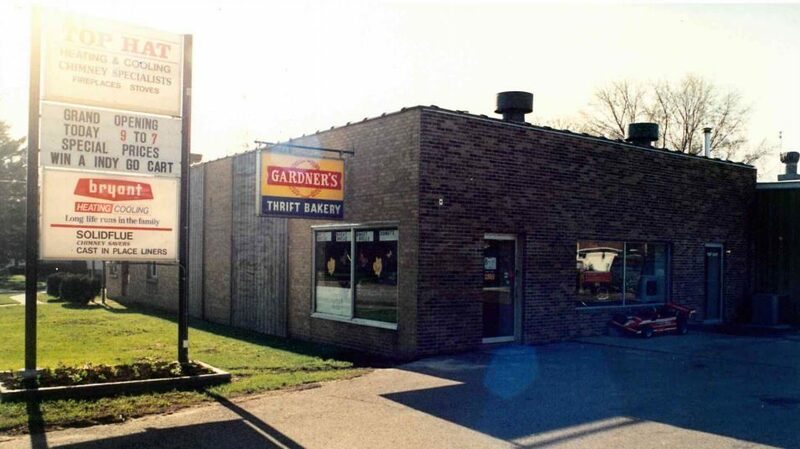 Although Top Hat was established in 1981, there was not a physical building until 1987. This photo displays the Grand Opening of Top Hat’s showroom, previously attached to a bakery and utilizing only part of the building, we now own the entire building and have increased the amount of units on display! Established in 1981, Top Hat has grown from a 1 man chimney sweeping business to a 6-division operation including: Heating, Ventilation & Air Conditioning, Hearth Product Retail and a Service Department as well as Chimney Sweeping, Chimney Restoration & Repair and Solar Systems. Most businesses understand chimneys or they understand heating, we understand both! Developing a solid reputation, we’ve gotten to be known across the country as the experts when it comes to complicated situations. 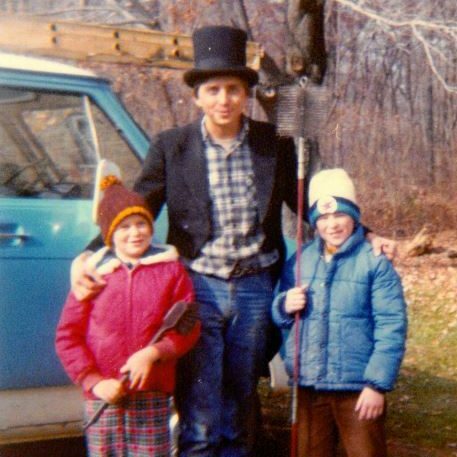 Roy, founder of Top Hat, sporting his Top Hat and Tails company uniform in front of his first van with some of his first chimney sweep customers! 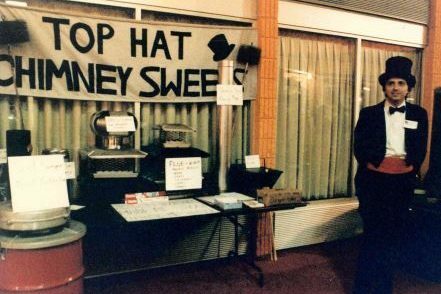 Roy, owner of Top Hat, waiting anxiously to speak to customers at his first home show about the importance of chimney sweeping and the different products and services Top Hat has available. 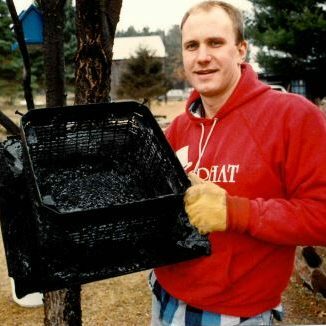 Dan, an installer back then now our Vice President, holding a creosote filled rain cap at a customer's home. 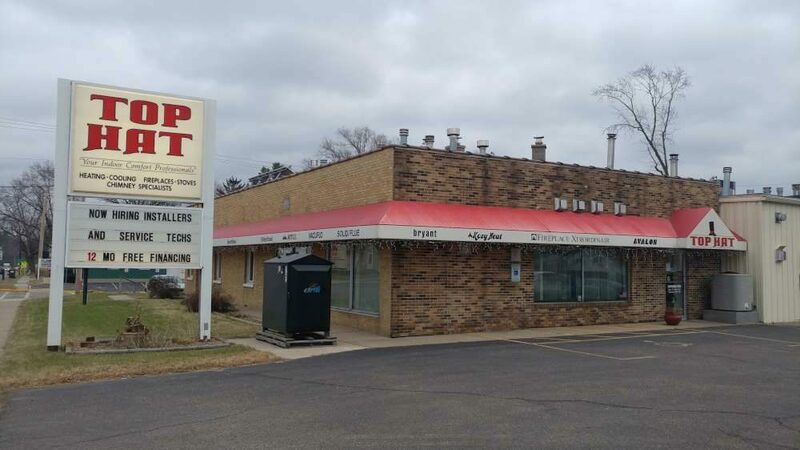 Having two state-of-the-art showrooms (the largest in Wisconsin with over 70 operating units on display) in Madison and Baraboo, we offer our customers a wide range of products and services to fit every need. From concept to completion, our nationally certified staff can provide you one-stop-shopping and cover all facets of your project, providing the quality you expect and deserve as our customer.